National Long-Term Care Awareness Month - Five Reasons Your Mom Needs a Caregiver - All Care Hawaii. LLC. November is National Long-Term Care Awareness Month. Everyone wants to think of their parents as being capable and healthy. Things can happen that make long-term care a necessity. Here are five of the top reasons your mom may end up needing a caregiver. Many long-term care professionals are hired after a senior is diagnosed with a chronic illness. Chronic disease in the elderly usually include conditions like arthritis, diabetes, and high blood pressure. The illnesses impact how well a senior can manage things at home. Your mom may have a hard time remembering if she took her medications. She might find it impossible to carry the hamper down to the washer and dryer due to the pain of arthritis. Long-term care can help her age at home without impacting her safety. Your mom had a stroke or fell and broke a hip. She’ll need long-term care while she recovers. Caregivers provide support while getting in and out of a shower or off the toilet. They also help with transportation and housework. With Alzheimer’s so prevalent, one of the leading reasons for long-term care is the disease. In the early stages, your mom won’t need much help. As the disease progresses, she won’t remember to take her medications. She may forget she has food cooking in the oven or on the stove. She might go for a walk and forget how to get back home. It’s not recommended that she drives after a certain point. She may even forget how to tie her shoes or button a shirt. Long-term care is necessary for her to live safely at home. As you age, muscle strength usually declines and osteoporosis may weaken bones. Exercise helps keep muscles and bones strong, but there’s still the possibility that balance and stamina lessen to a degree. Having someone around the house to provide long-term care helps reduce the risk of falling and breaking a bone. Your mom doesn’t live within walking distance of stores and restaurants. Public transportation is not available in her area. She also cannot safely drive anymore. You do what you can, but you work five days a week. With a caregiver, your mom has a ride to places she needs to go. Caregivers help with many aspects of aging at home. From cooking to transportation, a caregiver can help your mom stay safe. 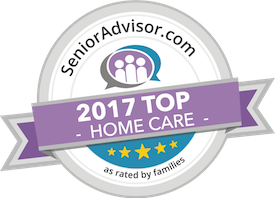 Learn more about caregivers by calling a home care agency. Have questions about hiring home care services in Honolulu, HI? Contact the caring staff at All Care Hawaii today. Call us 24 hours a day, 7 days a week!